CAIRO Egypt's new president on Monday issued a decree pardoning all those charged with or convicted of acts "in support of the revolution" since the beginning of the popular uprising that forced his predecessor, Hosni Mubarak, from power. The move by Mohammed Morsi was long demanded by Egypt's youth groups behind the uprising. It could potentially benefit more than 1,000 protesters currently on trial following their arrests during demonstrations since the uprising against Mubarak erupted on Jan. 25, 2011 and until Morsi was sworn in on June 30. Those already convicted for their role in the protests may also be pardoned. Most of those on trial or convicted were detained during the rule of the generals who took over after Mubarak stepped down in February 2011. 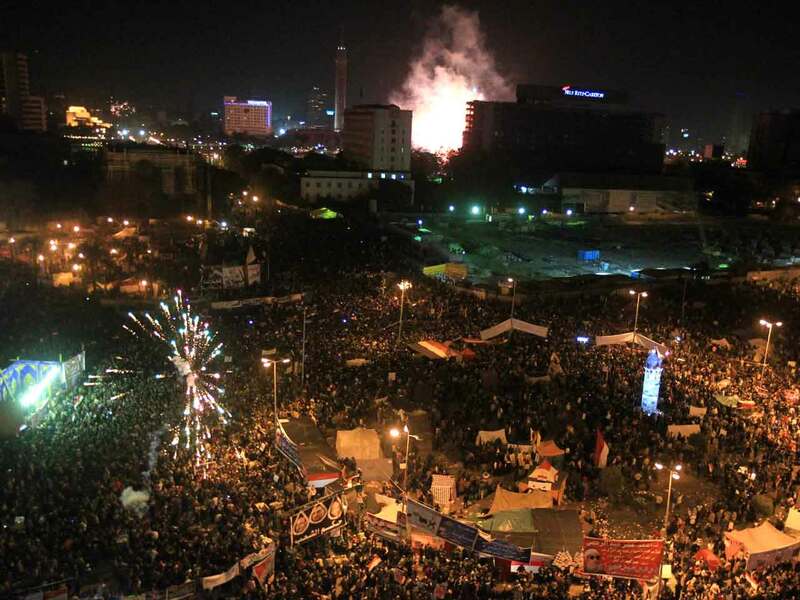 Mohammed Gadallah, Morsi's legal advisor, said the decree is "one of the revolution's most important victories." "It shows the revolution is now in power and guides the decision-making," Gadallah told The Associated Press. "This is a legislation that protects the revolutionaries." However, the wording of the decree is vague and doesn't immediately set anyone free, according to several human rights lawyers. It asks the prosecutor general and the military prosecutor to prepare a list of names, within a month of the decree's issuance, of those who may benefit from the pardon. The first article of the decree, which was published on Morsi's official Facebook page, orders a "comprehensive pardon for crimes and misdemeanors or attempts to commit them in support of the revolution and the realization of its goals." The only suspects exempted from the decree are those charged with premeditated murder over that time period. "It is a great step, but not enough," said Ahmed Seif, a member of the committee formed by Morsi to review cases of those tried following the uprising. He said he had advised Morsi to specify who would benefit from the pardon. "Now, there will be differences over how to implement the pardon, and a debate," Seif said. Gadallah said the decree is likely to cover all major court cases where protesters clashed with military troops and security forces. However, he admitted it is not clear how many would benefit from the pardon. Another human rights lawyer, Ahmed Ragheb, praised Morsi's decree but said it doesn't include "all the victims of the past period." Ragheb said Morsi's choice of wording in the decree - "those supporting the revolution" - can be interpreted in different ways. "No one is facing charges called 'supporting the revolution,'" Ragheb said. Protesters currently on trial face charges ranging from resisting authorities, damaging public or private property or disrupting public order. More than a 12,000 civilians have been brought before military tribunals, many of them on charges such as "thuggery." It will be up to the prosecutor general and the military prosecutor to name those who will be pardoned. Suspects who are excluded can challenge the decision, and a judicial panel would be the final arbiter. Seif said it could take months before pardons actually materialize. A month after becoming president, Morsi pardoned more than 500 civilians convicted before military tribunals. But rights groups have criticized Morsi, and the military generals who ruled before him, for failing to bring to trial most of the policemen, army troops and officers suspected of using excessive force or torture against protesters. Mohammed Abdel-Aziz, a lawyer involved in many of the protesters' cases, said the amnesty is too little too late and that the pardons should come with a financial compensation. Abdel-Aziz said the decree is likely meant to ease political pressure on Morsi just days ahead of a protest rally against the president planned for Friday.